Doctors have long known that low-birth-weight infants are at high risk for SIDS, but British researchers recently discovered that poor weight gain in the first weeks after birth may also be a factor. Comparing the weight gains of 247 babies who died of SIDS with date on 1,110 healthy infants, they found that the SIDS babies had significantly poorer growth rates in their first six weeks. Even infants who were born at a healthy weight but then gained too slowly were vulnerable. Because poor growth can be apparent in the first weeks after birth, tiny newborns should be closely monitored and steps taken if they are not thriving. Is sleeping with my baby safe? 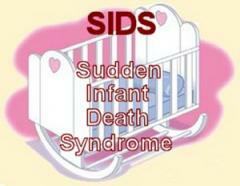 Can it reduce the risk of SIDS? Four Ways Attachment Parenting Can Reduce the Risk of S.I.D.S.